​Arsenal and Atlético Madrid are believed to be in direct competition to sign Benfica defender Álex Grimaldo, as both sides look to strengthen defence in the next transfer window. The 23-year-old has enjoyed a breakthrough season at Benfica in the 2018/19 campaign, having joined the Portuguese giants from Barcelona's youth side back in 2015. Grimaldo, a speedy left-back, has been his side's most used outfield player this season - scoring three goals and providing five assists in an eye-catching campaign. According to Mundo Deportivo, the ​Gunners are interested in Grimaldo as a potential replacement for their veteran left-back Nacho Monreal, while ​Los Colchoneros are seeking a long-term successor to 33-year-old Filipe Luis. ​Inter, ​Napoli and ​Manchester City are also believed to be in the running, but their interest is thought to be less substantial. The report gives no indication as to how much Grimaldo could cost his potential suitors, but given that his current contract expires in 2021, he's unlikely to be available at a bargain price. It is also unclear whether the player is eager for a return to Spain, or whether he would be keen on a bold new challenge in the ​Premier League. 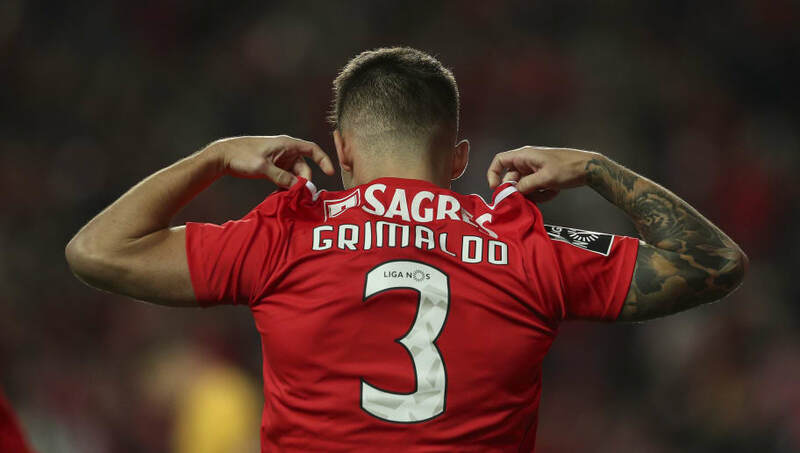 Certainly, both Atléti and Arsenal could do with some fresh legs in defence, and Grimaldo appears to have the qualities necessary to thrive in their respective elite leagues. The former Valencia youth player isn't the only Benfica star attracting attention from abroad, with his teenage teammate ​João Félix on the radar of several elite football clubs. Meanwhile, ​Arsenal boss Unai Emery has given an update over the illness of star striker Pierre Emerick-Aubameyang, ahead of his side's ​Premier League clash against Huddersfield. The manager revealed that despite a recent bout of sickness, the Gabonese goal-machine should be back in action to face the Terriers on Saturday afternoon.